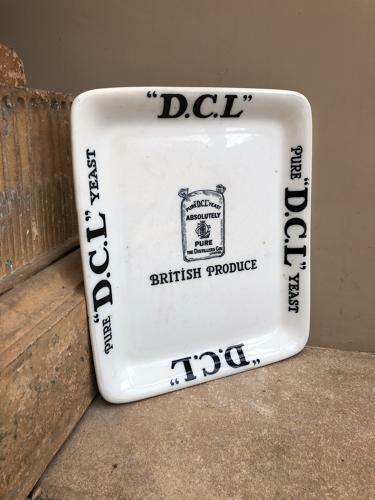 Early 20th Century Grocers Advertising Display Plate for DCL YEAST. Genuine Early Piece with professional restoration to one corner...cant notice but have to mention. Very decorative and perfectly useable piece.